EmblemHealth, formerly HIP of Greater NY and GHI, has developed an innovative series of care management centers to provide the local community valuable guidance on available healthcare options as well as general wellness. 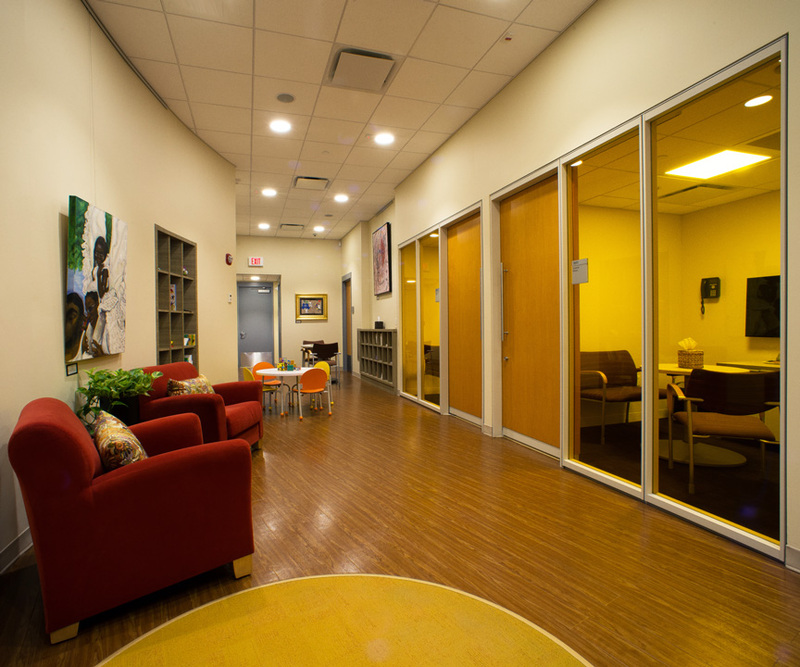 The multi-faceted Harlem Care Café offers community leaders a versatile gathering space where informative healthcare seminars are held. On an evolving basis, local artists are also given the opportunity to exhibit their work to the community. The café, located steps away from the historic Apollo Theater, is 4,300sf comprised of offices, consultation rooms, a juice bar café, and a community room used for anything from yoga to seminars. Aesthetically, the design team utilized the EmblemHealth colors as a subtle technique for branding within the space. 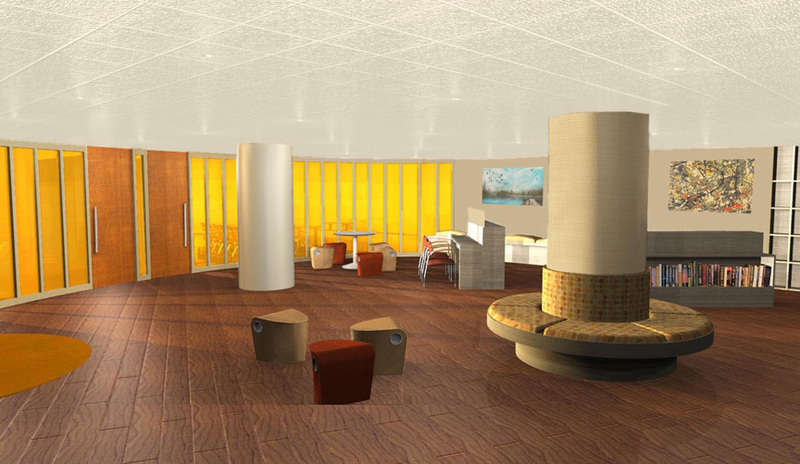 The café offers modern upscale finishes while maintaining a warm and inviting environment. Functionally, the space was designed to be adaptable for a variety of purposes. Interactive displays, continuous linear seating, furniture, and interactive kiosks were all thoughtfully designed to encourage flexible use.